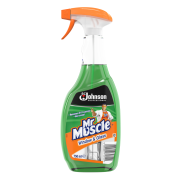 Our selection of glass cleaners that we stock and supply provide your professional cleaning results at home or in the work place. The glass cleaner range is suitable to use in kitchens, bars, launderettes and bathrooms and come in a range of capacities to your requirements. These are perfect for cleaning mirrors, chrome and stainless steel.